The ASTRO Annual Meeting is the world's most important meeting for the radiation oncology community, with more than 11,000 people attending each year. This comprehensive meeting covers all the latest developments in radiation oncology, with a full program of scientific and educational sessions that highlight the latest technological advances, while emphasizing the importance of clinical care. The theme for the 59th Annual Meeting is “The Healing Art and Science of Radiation Oncology” and it will explore the value of radiation oncology to all stakeholders through patient reported outcomes, cost effectiveness, innovation in delivery systems and value-driven quality care. 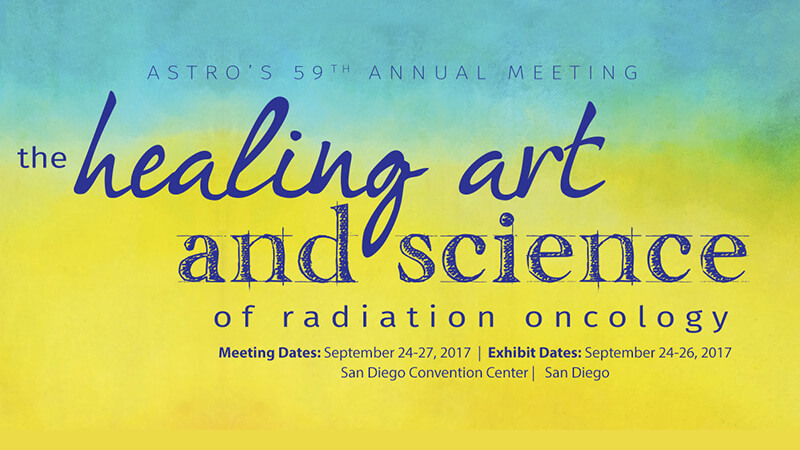 The 2017 Annual Meeting will bring you three outstanding keynote speakers addressing the meeting theme, "The Healing Art and Science of Radiation Oncology". From technology, to the patient doctor relationship, to payment model challenges, this year's keynote speakers are sure to enlighten and inspire. These 30-minute sessions will provide a brief overview of the top science being presented at the meeting in the most commonly treated disease sites in radiation oncology. An expert discussant will present the top four to five abstracts at the meeting in a "best-of" format, allowing attendees to hear about the top science in GU, Lung, Head and Neck, CNS, GI and Breast cancer.